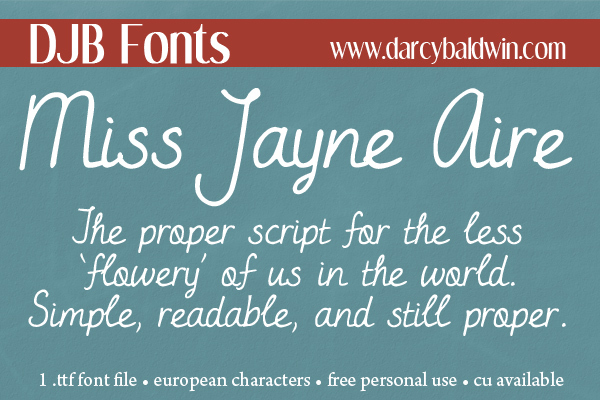 Miss Jayne Aire is free for personal use (not-for-profit). It’s a proper font fit for a Jane Austin novel. If you have a question about what constitutes personal use, check out this info or contact me with questions.